Today’s top story discusses the emergence of food sharing in communities and likens it to an ecosystem with aspects such as communal gardens and waste/excess food distribution by charities. It is another example of our social structure changing, for the better I think, and the authors point out this needs to be supported by planning and regulations. In other news, the World Resources Institute looks at countries making progress on climate action (mentions New Zealand four times, Australia zero times), the EU moves to formalise green finance, and a couple of articles on how to do land clearing legislation. Food sharing is experiencing a renaissance in cities around the world. By food sharing, we mean the collaborative growing, cooking, eating and distributing of food as well as sharing food-related skills, spaces and tools. This is nothing new, of course, but new socio-technologies are being used to reshape food-sharing opportunities. These range from apps for sharing home-cooked meals to online maps showing surplus harvests in the city. The Paris Agreement adopted in 2015 was lauded as a turning point in the global fight against climate change. The question today is: Are countries responding to it? The short answer is yes. Based on our review of major national announcements over the last 12 months, it’s clear that countries are ramping up their climate efforts, from setting bolder emission-reduction targets and protecting forests to phasing out coal-fired power plants. Almost all of us are going to be worse off as climate change takes hold, whether through heatwaves, changing rainfall patterns, sea level rise, or damage to ecosystems. But it’s the world’s poorest people who will suffer the biggest disruptions to their local climate, as our new study, published in Geophysical Research Letters today, explains. 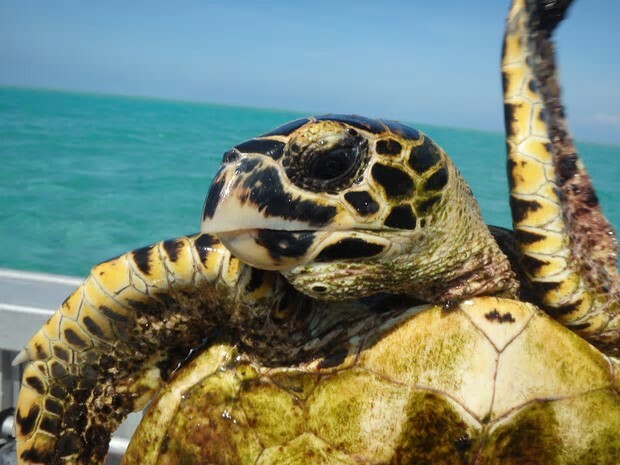 AUSTRALIA – Critically endangered hawksbill turtles that nest on islands east of Papua New Guinea have been tracked moving across parts of the Coral Sea marine park where the Australian government wants to allow commercial fishing, conservationists have found. AUSTRALIA – Once a stark illustration of wetland destruction, a giant floodplain in the Riverina district of New South Wales could soon be a shining example of environmental restoration. The ABC can reveal the NSW Government has chosen the global environmental charity The Nature Conservancy, in partnership with Aboriginal and scientific groups, to be the managers of the Nimmie-Caira project — arguably the most ambitious environmental project to come out of the Murray-Darling Basin Plan. NEW ZEALAND – The tīeke or North Island saddleback have finally returned to the mainland. This noisy, feisty, beautiful New Zealand bird, smaller relative of the kokako and huia, once widespread across the North Island, was wiped out by introduced predators by the late 1800s, surviving at one point on only a single offshore island. However, on May 26, their distinctive sound returned to Whangaparāoa as 40 tīeke arrived from Tiritiri Matangi Island to their new home in the Shakespear Open Sanctuary. They will soon be joined by a further 10 tieke from the Tāwharanui population established in 2012. NEW ZEALAND – When the lease on the Molesworth Station expires, it has been suggested the land could be used to form a national park. McGuinness Institute chief executive Wendy McGuinness featured on the television show What Next? where Nigel Latta and John Campbell explored what New Zealand could look like in 2037, and McGuinness said one of the greatest points of leverage was to develop “biological corridors” connecting New Zealand’s national parks. Finance markets in the EU could soon be getting to grips with a new, EU-wide definition of what constitutes a sustainable investment, under new proposals unveiled by the Commission late last week. The plans are the first concrete proposals to drive green investment under the bloc’s flagship sustainable finance initiative, with the aim of preventing corporate ‘greenwashing’ and increasing the flow of private cash into carbon-cutting projects. The proposals include a new EU-wide classification taxonomy that will assess, sector by sector, if an economic activity is environmentally sustainable. Even as the impacts of climate change are increasingly felt worldwide, coal plants, gas pipelines, and other non-renewable energy projects continue to receive vast sums of funding from the world’s biggest development banks. Alex Doukas, stop funding fossils program director of Oil Change International, is part of a group of organizations putting pressure on institutions and governments still funding “last century’s dirty energy technologies” — or non-renewable energy projects. Oil companies are under more pressure than ever to reckon with their climate impact as they hold their annual shareholder meetings this year. Supermajor Exxon Mobil has published its first assessment of what holding global warming to 2C means for its business, prompted by a shareholder revolt in 2017. Shareholder activists have moved on to target second-tier companies, winning resolutions to make Kinder Morgan and Anadarko follow suit. Several firms pre-empted a vote by agreeing to their demands. Think of the delicious food stands in Southeast Asia, the street performers in Africa, the rickshaw driver in Bangladesh, and the invisible home-based workers who embroider garments and stitch shoes in India. What do they all have in common? They are all part of the global informal workforce. Globally, informal employment represents just over 60 percent of total employment and nearly 44 percent of urban employment. In some cities of the global south, the informal economy employs 80 percent of the working population. Brussels has challenged the UK’s environment secretary, Michael Gove, to try to outdo it in an environmental “race to the top” as it proposed a ban on plastic straws, cutlery, plates, cotton buds and balloon sticks. Frans Timmermans, the European commission’s first vice-president, directly addressed Gove, a fervent Brexiter, as he unveiled details of the planned prohibition, along with measures designed to reduce the use of plastic takeaway containers and drinking cups. AUSTRALIA – On the face of things, plastic bags really seem to have no other benefit than carrying your shopping. They’re bad for landfill, animals and the environment. 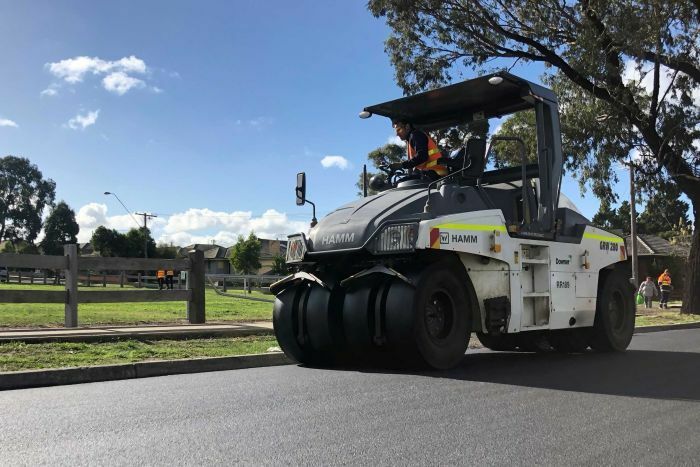 But a new project in Melbourne’s north has successfully been able to take the dreaded plastic bag and turn it into something that can be used again and again — a road. The 300-metre stretch of road, on Rayfield Avenue in Craigieburn, uses an additive that’s made up of 530,000 plastic bags, more than 12,000 recycled printer cartridges and 168,000 glass bottles. NEW ZEALAND – Investigations into toxic firefighting foam are to continue for the next 12 to 18 months, covering private industries and activities that have used the chemicals in the past. A cabinet paper released by Minister for the Environment David Parker outlines how the nationwide “all-of-Government approach” will help local councils identify and manage polluters. The “new and emerging contaminant” has been used worldwide since the 1950s in firefighting foams at airports, ports and other industries, as well as in furniture protectants, floor wax, treated fabrics, paper products, non-stick cookware, food packaging, and insecticides, the paper said. AUSTRALIA – The Queensland government passed legislation last month to prevent the clearing of high-value regrowth vegetation on freehold and Indigenous land. The move has been deeply unpopular with many landholders. They have argued that they are footing the bill for the commmunity’s environmental aspirations – without compensation. Broadly speaking, landholders are worried the government hasn’t listened to their concerns and won’t pay for the land that is now effectively under state regulatory control. AUSTRALIA – In the new issue of Journal of Applied Ecology, our researchers share their findings on which outcome-based payment methods used in private land conservation were most successful in benefiting biodiversity. The team, led by Dr Jane McDonald, compared different outcome-based payment methods. They found that biodiversity outcomes were highly dependent on the payment method used, with some outperforming others. USA – Last week, the Washington Post obtained a White House internal memo that debated how the Trump administration should handle federal climate science reports. … the White House considered ‘debating’ established climate science, casting doubt on scientists’ conclusions, or just ignoring them. Accepting and/or acting on the findings of the scientific experts is not an option they’re willing to consider. USA – A federal judge wants the litigants in two high-profile climate change lawsuits against the five largest oil companies to make the case for whether he should consider the benefits of fossil fuels. He also wants the oil companies to start ponying up documents about their internal operations — documents that could reveal contradictions in one of their key arguments in the case while also opening them up to new lines of attack. The suits, filed by the cities of Oakland and San Francisco, are seeking damages from BP, Chevron, Exxon Mobil, Shell, and ConocoPhillips to pay for seawalls and other infrastructure to deal with the impacts of climate change. Companies acquired concessions amounting to the size of a small European country, while rural residents of Southeast Asia’s Mekong region saw their landholdings shrink or disappear over the past two decades, according to researchers. More than 5.1 million hectares of land – an area larger than Slovakia – were granted for mining and agricultural concessions in Myanmar, Laos, Cambodia, Vietnam and Thailand, according to a report by the non-profit Mekong Region Land Governance (MRLG). At the same time, forest areas have declined, said the report released on Monday by MRLG, which is based in Laos’ capital, Vientiane, and promotes better land use policies. BRAZIL – For more than a decade, the Netherlands has vigorously supported Brazil in development of the Northern Corridor, a mega-infrastructure transportation initiative that would transport soy and other commodities from Matto Grosso state via new road, rail and port projects to the Tapajós River in Pará state, then downriver to the Amazon, and to the Atlantic for export. Although the Netherlands government publically says these projects will be constructed in a “sustainable” manner and reduce fuel used in transport, analysts — and even the Dutch government itself — say that the new harbors, roads and railroads would contribute significantly to deforestation, land grabbing and rural violence by bringing many new loggers, cattle ranchers, soy growers, and settlers into the Amazon region. AUSTRALIA – After it is revealed more than a million farmed fish died within six months in Macquarie Harbour, one salmon company effectively says “we told you so”, another says the dead fish were “replaced quickly” and the third says it has no obligation to detail its losses to the public. Tasmania’s Environment Protection Authority (EPA) confirmed 1.35 million salmon died in Macquarie Harbour on Tasmania’s west coast since last October.